It’s always been a dream of mine to dive Komodo as I’d heard it has some of the best diving in Indonesia. As a backpacker I have to choose where and when I’m going to spend my money, because even though there’s so many amazing things to do, I can’t afford to do everything, so when I finally got the chance to head to Indonesia, Komodo was going to be one of the first places I was to visit. I arrived on a Monday afternoon, and walked around the town of Labuan Bajo, the gateway to the Komodo National Park, with a mission to find some cheap diving in Komodo. I had to choose whether to stay in town, and do some day trips, or if I could afford to sleep on a boat, in which case I wanted to find the best liveaboard. 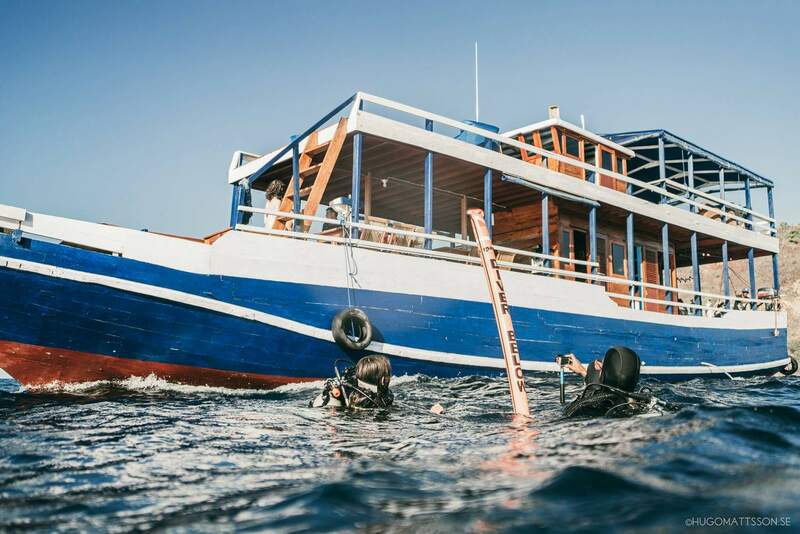 There’s a lot of dive centres in Labuan Bajo and so many different offers for “day diving trips in Komodo” or “liveaboards in Komodo” that I didn’t know where to start. Fortunately, after walking along the high street, I came across Mikumba Diving. I was hot and bothered by this time, and walking in was like a breath of fresh air – they have air-conditioning! And they have popcorn! 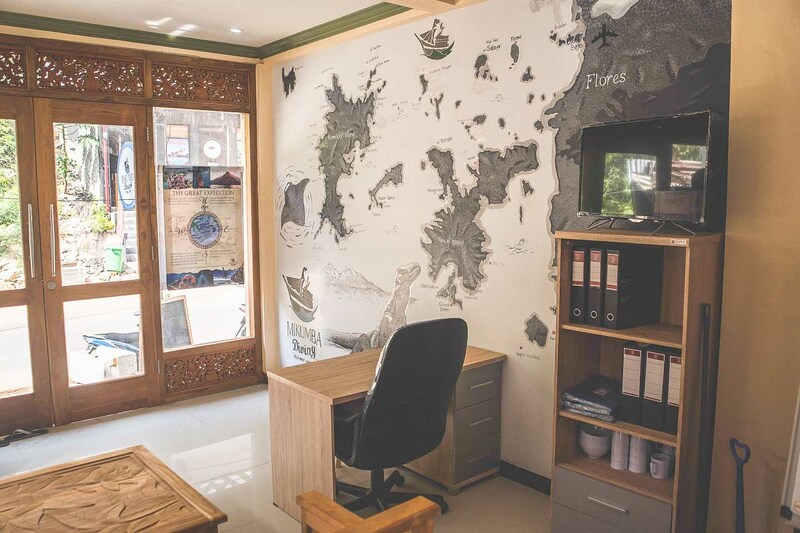 These guys were so friendly, I signed up there and then – I did all the paperwork, got fitted for equipment, and then paid for my day out – now all that was left to do was to find somewhere to eat, and get a good night’s sleep, ready to realise my dream and go diving in Komodo! I woke up early, excited for the day ahead – it was an early start, we were meeting at 7, but luckily they made breakfast on the boat, which was scrambled eggs, toast and delicious fresh fruit – one of the best things about being in Asia is the amazing food! After breakfast we had a safety briefing, followed by a dive site briefing, and then we were getting ready to finally dive Komodo! It was AMAZING! Komodo diving was everything I had hoped and more – the fish life is abundant, the coral is pristine, and the currents are so much fun! I’m an experienced diver, but still felt a little apprehensive about the famous currents, but the briefings the dive team gave us made everyone on the boat feel comfortable and safe. At the end of a fantastic day, we sat on the boat, with a cold beer, watching the sun go down, and I felt quite happy in the fact that I had found the best dive shop in Komodo. I enjoyed it so much that when we got back to the dive centre in Labuan Bajo I decided to sign up for their Best of Komodo Liveaboard trip leaving in a few days where we would visit some different dive sites, visit more of the Komodo National Park and see the famous Komodo Dragons. 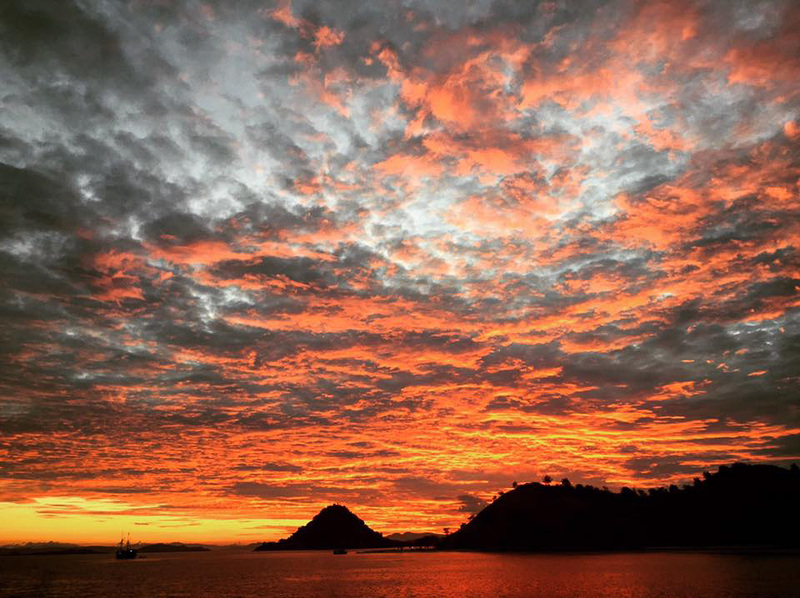 Best Dive Site in Komodo?